Home › 30-Count Coffeehot Cocoachocolatecappuccino & Tea Single Serve Cups For Keuri..
30-Count Coffeehot Cocoachocolatecappuccino & Tea Single Serve Cups For Keuri.. 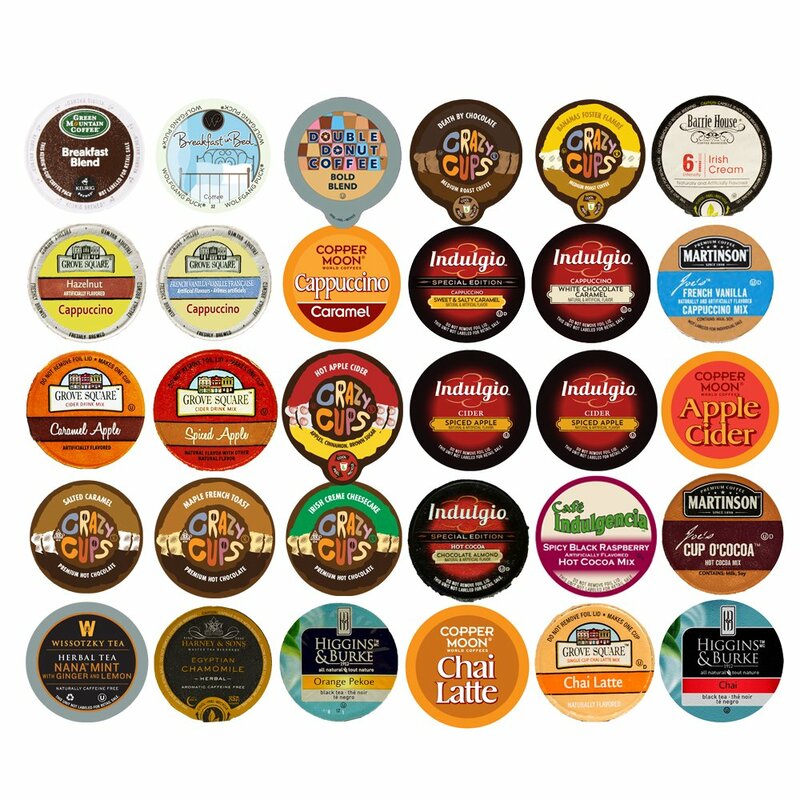 Try 30 K cups from more than 8 brands like Green Mountain, Grove Square,Crazy Cups, Martinson, Ekocups, Twinings and more without buying the whole boxes. This sampler variety pack Contains Coffee, Hot Cocoa, cappucinno and 6 Tea cups so you could try 30 different cups without having to buy whole boxes.